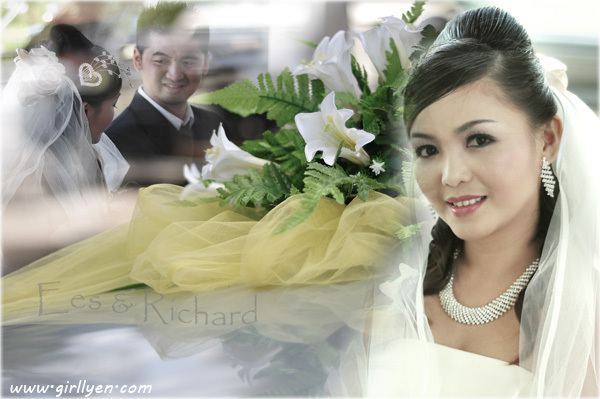 Wedding Photographer – The hot soup in Sabah? Getting married is the most important part for all the woman especially those love birds out there. The best cure for a memorable wedding was your photos and videos beside the wedding vows and also the kisses during the blessing ceremony. Correct me if I’m wrong. No matter how or what theme you choose, a good photographer and best video person are the must list in every wedding planner. It’s up to the couple to save for extra budget to get what most couple wants. Ees. She’s a photographer too. Attended and capture her big day early this year. If you realize, Sabah have produces too many wedding photographer if you go and research for it. This includes the person who make photographer as their career, or freelance and myself. Which is good and great development especially Sabah who owns the richest wildlife and landscape for pre wedding or wedding location. I would like to promote some of the successful photographer in Sabah and have done so many assignments and some did have their own bridal shop as well. You may look into their works and pick the best from them. I believe everyone offer different rates and different quality as well. There are few freelance photographer also who is doing the same mission like us. Like Mahapson, Gidong, Frisco D, Dolly Mj, Fred Nk, Bobby, Vienne, and lots from Facebook too! I will update more on our new born photographer in my next post. Perhaps you can provide all the data so I can put in my blogs for easy reference. I received one email today from my friend who stays in Singapore. She was asking me whether I could come to Singapore and do her pre wedding photography. I may easily say yes, but I must consider all the location and the airfares too. I suggest her to come over to KK and do the pre wedding here since she is from Johor. There are few checklist that I use in order to fulfill the client really wants. If we do not discuss it properly, we might get it wrong and ruin all the outcome of the photo shooting. I do not count myself as Professional or Semi Pro, still Amateur and try to get better vision. Please do not hate me if my photos are terribly bad. I am only Sabahan. ← Is Travel Photography is dead? this might helping me in browsing videoG and photG! Hey Girl. I don't think your pictures are bad, you're just being humble and it's a good attitude bah! I know many people out there yg show off gila babas and cakap besar, somehow there is nothing much to be brag about pun. Keep up the good work k Girl! Macam sekarang baru lah banyak tu photographer out there. Dulu time saya kawin susah mahu cari terpaksa my sister yang ambil gambar hahah. Kira kampung kampung gitu. Terus teringat saya macam kami tidak ada bergambar oh di luar tu kdca. Rugiiiii. Great Done, Girl! 🙂 Confident about yourself buddy!! Whoops, I was surpirsed to see my link.. haha, good job Sumandak. Great enthusiasm. By the way, I need to update you that I am now using friscodaniel.com as my main working and showcasing space. Have a very-very nice day=) God Bless us photographers!